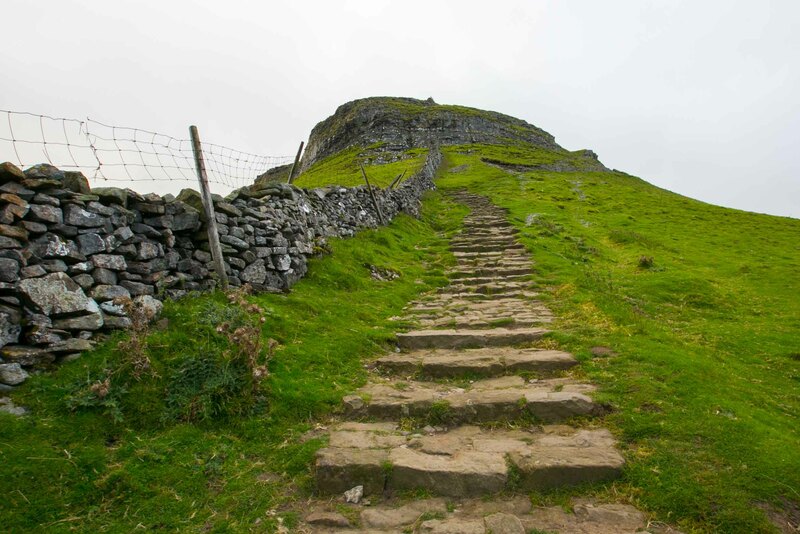 The Yorkshire 3 peaks challenge in 12 hours is a strenuous challenge requiring a good level of physical fitness and stamina. You will be guided by a fully qualified, fully insured Mountain Leader with experience of the routes that you will use. These highly skilled guides have the minimum Mountain Leader (Summer) qualification provided by Mountain Training UK and are also qualified first aiders. They have a wealth of experience in the mountains and have been highly trained in navigation, especially in poor visibility. They also undergo continuous personal development to keep these skills current and up to date. On the day, you will walk about 38km with 1600m of ascent and descent. You need to be comfortable walking in the mountains to complete this challenge. Mountain weather is very changeable and you should be happy walking in poor conditions as well as on uneven ground. Good tips for preparation would be to go walking (uphill), jogging, or even attend one of our training days. You'll find out exactly what is required and your Mountain Leader would then be able to advise you on a training plan to help you achieve your goal. 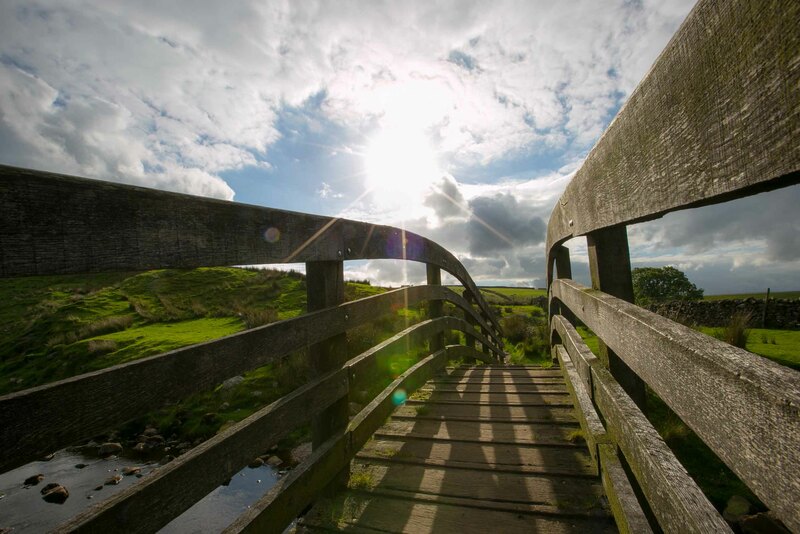 Your experience begins at Horton in Ribblesdale where you will all meet for the first time. We meet at the cafe car park at 6.30am for a 7am start. We recommend that you stay somewhere local on the evening before your challenge. You will be able to get a good nights rest before your challenge and ensure you are at your best on the day. For those who stay local on the evening before, we will have a short briefing where you will get to met other participants and we will run through details about your trip such as what to expect from the weather and some top tips for the use of your kit. 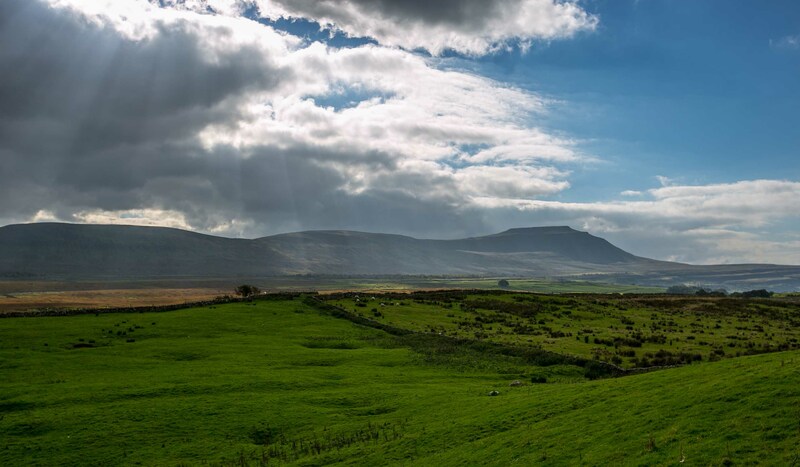 On the morning of your challenge, you will be introduced to your Mountain Leaders and complete a preliminary checklist before heading for the first mountain, Pen Y Ghent. You should aim to travel light, however, our kit list below should be used as a minimum requirement for completing this challenge. 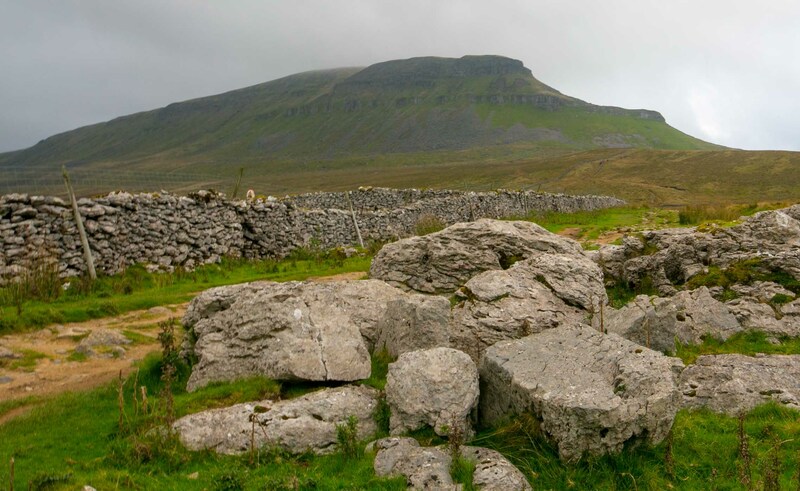 After completing Pen Y Ghent, we will head to Whernside and then onto Ingleborough before returning to the start point to complete your challenge. The aim is to complete this event in 12 hours. We can cater for any dates to suit you for your challenge. If you have a particular date in mind, then please contact us before booking. Mountain weather is unpredictable, however, forecasting is also very accurate nowadays. You must be prepared to walk in poor conditions i.e wet and windy. No challenge would be cancelled due to weather unless under extreme circumstances. Your Mountain Leader will have a full, up to date weather report and will check this regularly during your challenge. Your equipment is vitally important for your enjoyment and safety on your challenge. The following list is a minimum requirement by Active Mountaineering, however, this can be expensive so we have kit to lend or hire to reduce your cost. - Boots – Covering your ankle, well worn in. - Food for 12 hours trekking. A main meal such as a sandwich, pasta etc. Snacks for eating on the move such as cereal bars, nuts, chocolate etc. On the mountains, food is your fuel. It is vitally important that you are well fuelled before you start your challenge but would advise against eating too much before you start. Have a good, hearty breakfast at least 1 hour before your challenge starts and pack a good quantity of high energy snacks or drinks in your back pack. Fruit, cereal bars, chocolate, nuts etc are very good for on the mountains. In addition, you should have a main meal such as a sandwich, pasta etc. When you book this challenge with Active Mountaineering, we require full payment at the time of booking. After your challenge has been completed, you will receive a medal. We recommend that you take out travel insurance for any cancellation/curtailment. 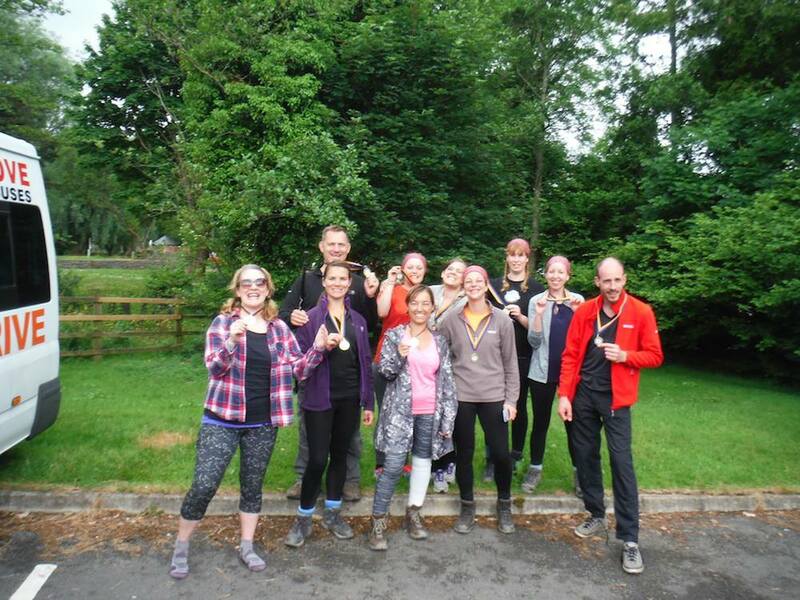 This is the self funding Yorkshire 3 Peaks Challenge in 12 hours. You can book for a group or join an open event and complete your event with other like minded people. Please contact us if you wish to book a private group event. The open event policy allows us to keep costs to a minimum. Cost inc..